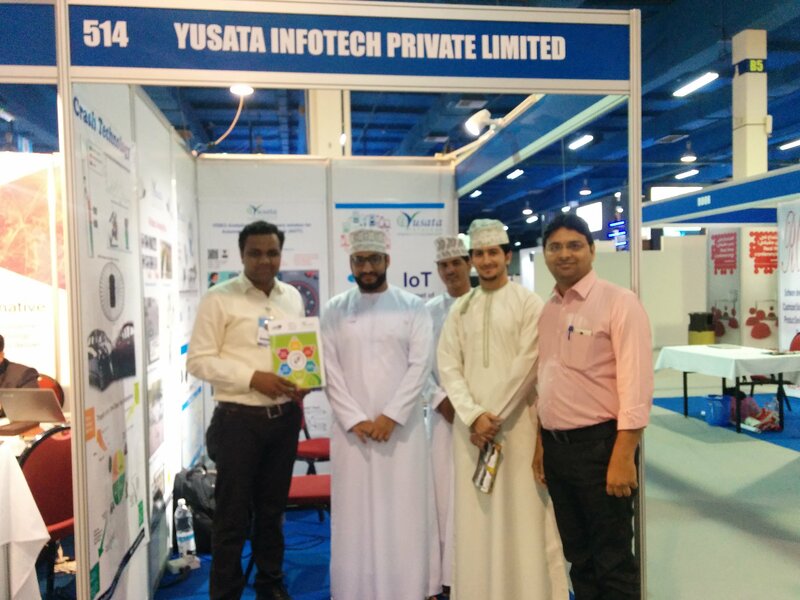 Participation in COMEX 2016 at Muscat, Oman had been an interesting exhibition to showcase Telematics Solution. Oman allows better opportunities for IT firms to collaborate and provide state-of-art technology for better resource mobilization and monitoring. Yusata already have a Channel Partner Apex E-Commerce, Mr Ahmed Al Siyabi who is representing solutions in the country. During the exhibition, Mr. Indra Mani Pandey, Ambassador of India in the Sultanate of Oman had visited our booth # 514 and extended his best help to explore and expand business opportunities in the Oman country. He had invited us to the Embassy office for a meeting on developing better relations with Omani companies and opportunities available to Indian IT Companies. Our Channel Partner, Mr. Ahmed is confident to promote YLogApp, Crash Technology and Video Analytics to the Omani market and develop a great business start there. We would like to thank our delegates for making their presence at our booth no 514 in IT, Telecom & Technology Show 2016, Muscat 2016.